Originally published by Ray Russell’s specialist horror press Tartarus, Andrew Michael Hurley’s decidedly unsettling debut is this week's pick from the Waterstones Book Club. 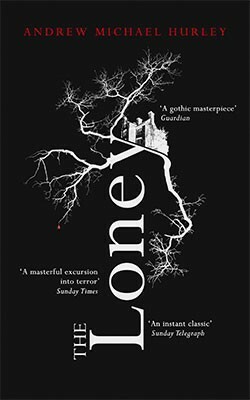 The Loney was one of those bookseller word-of-mouth novels that gathered momentum by the sheer merit of its writing, ultimately going on to bag the Costa First Novel Award for 2015. Deftly conjuring the rain-soaked wastes of the Lancashire coast, Catholic faith and the seemingly supernatural underpin a disturbing coming of age for a boy and his mentally disturbed brother. A landslide on an island off the Lancashire coast reveals the body of a child and prompts the narrator of The Loney to tell his story. It recounts the Easter pilgrimage of a group of Catholics who journey from London to the Lancashire coast in 1976 with the hope of curing the narrator's mentally disabled brother, Hanny, at a local shrine. The retreat is led by the newly installed parish priest, Father Bernard McGill, who struggles to shake off the ghost of his predecessor, the hardline Father Wilfred. Meanwhile, the rain sweeps in off the sea and the tides come and go, shifting the sands, burying and obscuring. About five or six years ago, when I was starting to write The Loney, I visited the Morecambe Bay area in every season and in all weathers and was captivated by the sense of wildness and solitude. But it is the autumn time when it feels at its most unsettling. Any tourists have left with the summer, the winds are colder and the dusk falls quickly in the late afternoon. There is little there but watery light and flocks of wading birds on the mudflats. It's hard not to think of the place as haunted. In fact, one of the characters remarks that the Loney is the "biggest graveyard in the north of England." And he may well be right. A brief glance at the Fleetwood Maritime Heritage website reveals a long list of shipwrecks stretching back hundreds of years. The losses are made all the more poignant for how close each vessel was to the end of its journey. They had managed to endure the crossing from South America, Nova Scotia, Russia or the West Indies only for the Lancashire weather and the mercurial tides to tear them to pieces. Most of these ships were lost forever but every now and then at particularly low tides a few rise from their graves way out on the sands to reveal their rusting hulls or their blackened ribs. And there are local stories about the distress bells that can still be heard on the wind. Even now the sands continue to claim lives. The lifeboats are kept busy all year round and sometimes there are tragedies on a large scale. In February 2004, twenty-three Chinese cocklers were cut off by the tide and drowned in the dark. The Loney has been called a Gothic horror and if it is then the landscape plays a crucial part. As in many of MR James' stories, such as A View From a Hill and O Whistle And I'll Come To You – which were a source of inspiration for The Loney – the English landscape becomes something 'other'; a place of terror where some danger from the past lingers on. At the Loney, this sense of menace is hard to ignore. "A sudden mist, a mumble of thunder over the sea, the wind scurrying along the beach," the narrator says, "was sometimes all it took to make you feel as though something was about to happen. Though quite what, I didn't know." The Loney is not only about place but also about faith, and for Father Wilfred the 'something' that happens utterly transforms his relationship with God. He comes to understand that the rain and the wind and the heaving tides are not evidence of a benevolent father at work in the heavens but something feral, destructive and indifferent. The Loney is not a place that can be tamed by language or prayer. Perhaps the greatest horror is the shock of our own insignificance. 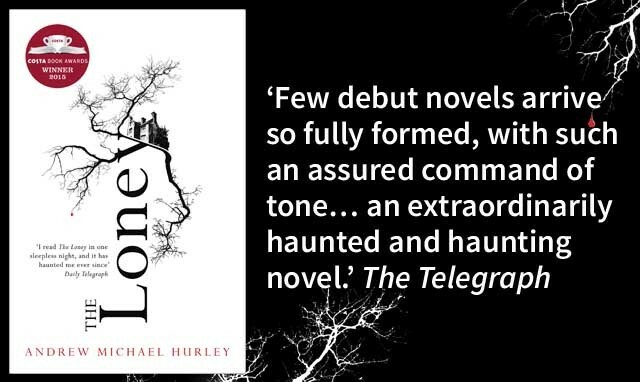 The Loney is Andrew Michael Hurley’s decidedly unsettling fictional debut. With Lancashire’s wind-scorched coast as its setting, Hurley fuses faith, superstition and fear into a potent cocktail of family drenched in unsaid secrets and a constant, gnawing doubt that something strange and dangerous is afoot.